Why would I need self storage in Apex, NC? There are a variety of reasons why you might need self-storage in Apex, NC. How much is a storage unit in Apex, NC? The cheapest storage unit in Apex, NC is $30.00 per month. What size storage units do you have available in Apex, NC? In Apex, NC we have sizes that range from 5'x5' to 12'x35' to suit your storage needs. How much is it for a 5'x5' storage unit in Apex, NC? The cheapest 5'x5' storage unit in Apex, NC is $30.00 per month. Apex is a mid-sized town in central North Carolina. It's considered part of Greater Raleigh-Durham-Chapel Hill, just 5 miles southwest of Cary and 12 miles west of Raleigh. Recent years have seen plenty of ongoing commercial and residential growth in Apex, especially following a dramatic population increase in the late 1990s and early 2000s. Apex earned its name because it was the highest point on the Chatham Railroad which ran from Richmond, Virginia to Jacksonville, Florida. The town was officially incorporated in 1873, and it grew slowly over the next several decades as it weathered several major fires. When the Chatham Railroad closed in 1937, Apex leaders knew they needed to diversify the town's economy in order to survive. Through the latter half of the 20th century, Apex grew as a result of its close proximity to the North Carolina Research Triangle. Over time, the city developed a range of thriving businesses, especially in the finance, sales, engineering and technology sectors. The population was less than 5,000 in 1990s, but the city experienced major growth within just a few decades, pushing the population to more than 20,000 by the year 2000 and to nearly 40,000 by 2010. Apex has grown dramatically in recent years as people from across the country have discovered its strong and diverse economy, excellent natural recreational facilities, and attractive residential areas. As a resident of Apex, you'll have easy access to Raleigh-Durham International Airport as well as several large nearby cities. Apex also offers top recreational facilities that are especially popular during the nice weather the region frequently enjoys. 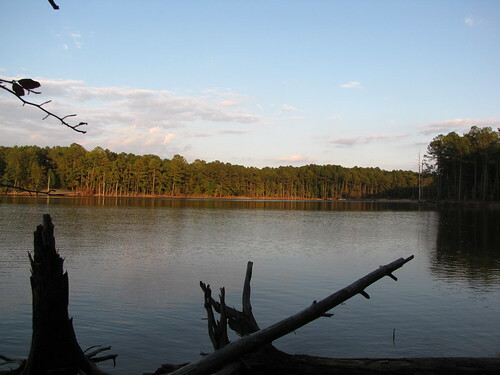 You can fish and boat on Apex Lake or try a number of other outdoor activities at Jordan Lake State Recreation Area. In 2015, both Money magazine and TIME magazine named Apex the best place to live in the United States. The publications praised Apex's charming downtown region, excellent schools and community spirit. The mix of high-paying technology jobs and affordable homes and living costs also make Apex an attractive place to live. The 7,000-acre North Carolina Research Triangle Park is just 18 miles from Apex and has created many local jobs. This business hub is home to more than 200 firms, including household names IBM, GlaxoSmithKline and Cisco. Apex has grown rapidly since the turn of the century, but this growth has been well-supported with a new toll road, which halved the commute to the Research Triangle to just 20 minutes. 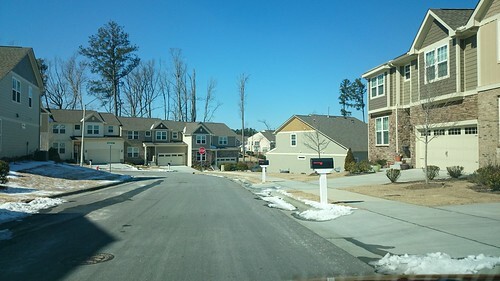 Events including the weekly farmers' market and the PeakFest street fair help Apex retain its friendly community feel. Apex has public schools belonging to two school districts: the Chatham County School District and the Wake County School District. You can also enroll your child in one of the town's private schools, which include faith-based and Montessori campuses. Utilities: The city's utilities department provides electricity, water and sewer services. Garbage and Recycling: You can expect weekly collection of trash, recyclables and yard waste. Your schedule is based on your home's location. Transportation: GoTriangle is a public bus service that serves Apex and neighboring communities. You can also use WakeTRACS, a reservation-based van service. Many of the properties in Apex reflect the city's historic feel, including spacious Colonial and ranch-style homes that help beautify the city's residential streets. Even though the area is considered a major tech hub of the South, it's actually fairly affordable when compared with other tech-driven cities like Silicon Valley. However, you can still expect to pay well above the national average for a home in Apex. Our lowest priced units in Apex, NC average $30.00 per month. 60 people have reserved units in Apex, NC in the past 30 days. There is 1 location within Apex, NC's city limits. There is 1 location in Apex, NC that offers AC and Heating features.